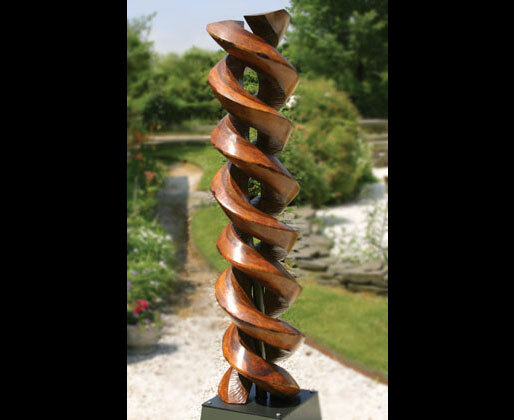 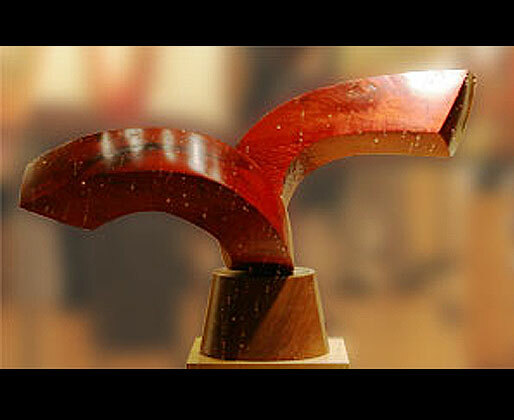 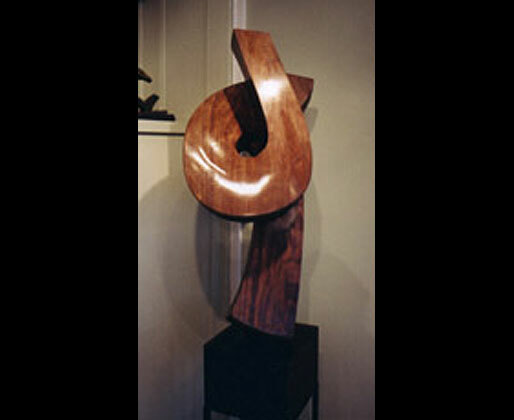 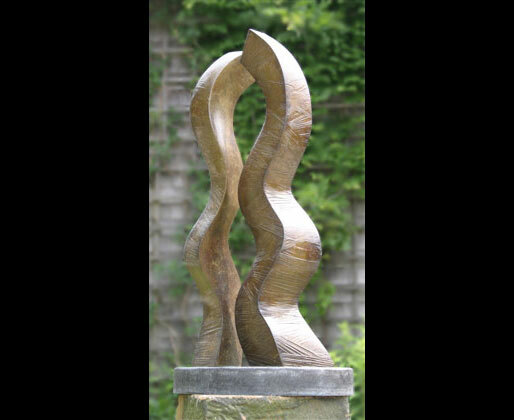 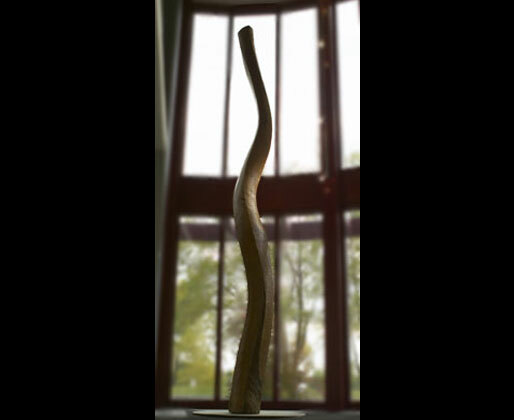 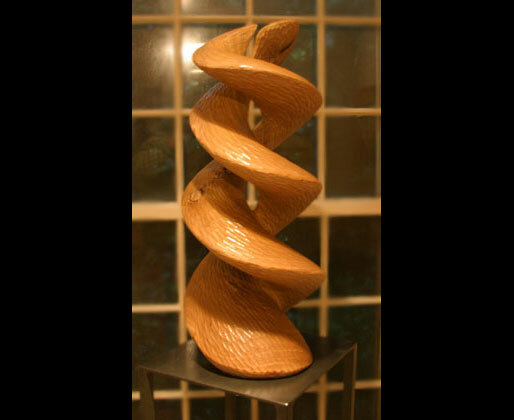 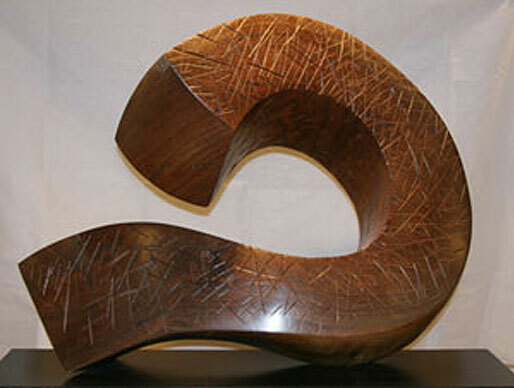 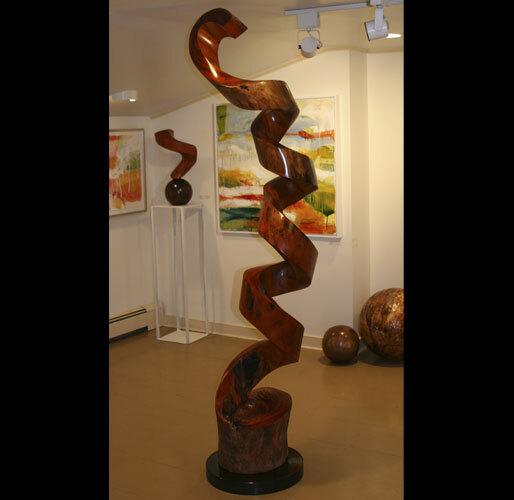 John Evans’ gracefully carved “Union” uses hand-carved tropical almond wood to create a striking sculpture. 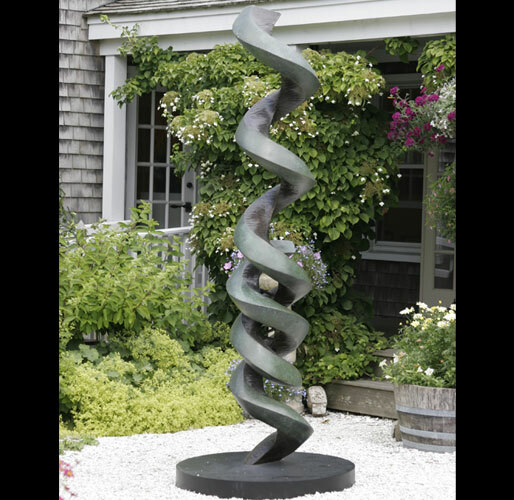 This unique, contemporary work draws the viewer into its curling landscape with its visual maze and sensual design. 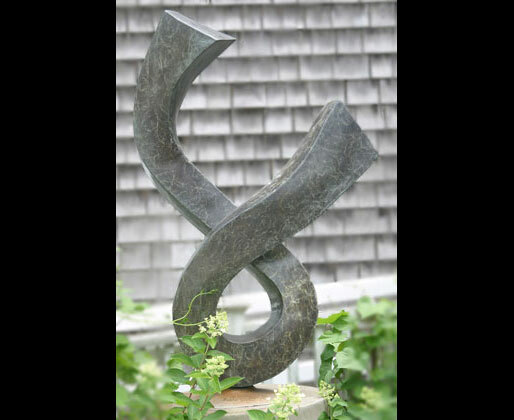 Exploring space and form, “ Union” uses a strong spiral shape to articulate notions of connection and timelessness.